The last time the Cubs won the World Series Teddy Roosevelt was president. So much losing has brought their fans togetherness that winning can't touch. So it is with Benny Katzman and Riley McGowan and others who drown their sorrows at Salvatore's, a favorite haunt in the shadow of Wrigley Field, among them Gabriel, the handicapped son of a Chicago crime lord; Liz, a stunning waitress who wants to act but seems very short on talent; and John Dennis, tycoon turned dishwasher. When lawyer Benny signs minor leaguers Isaac Chance and Will Hardy, he knows they will end up where his other clients have---broke and back home. By October, with Riley's health, his son Richie's prospects and Gabriel's security all in jeopardy, so much hangs in the balance. Benny proves the truest of friends and Richie and Gabriel the most surprising of sons. The ending both on and off the field will restore faith in the power of losers to win, of good guys to come out on top and of triumph to warm the soul. 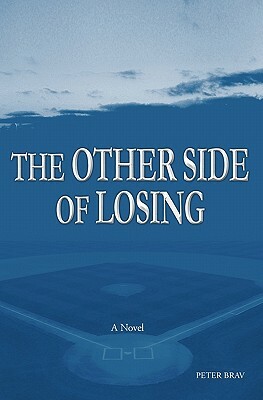 Peter Brav has been writing stories all his life and many of them seem to center around baseball. Not the game per se, not just the players and their moves around the bases either. His stories are the stories of people who live and die with their teams, having inexplicably and joyously cast their lots with the rotation of a little white sphere hurtling home. Having attained a Bachelor of Arts degree from Cornell University in 1977 and a law degree from Harvard Law School in 1980, he has maintained his non-fiction law practice by day and his fiction writing by night. He resides in Princeton, New Jersey with his wife of twenty-five years, Janet, a college professor.